Not every game of Spider Solitaire can be won, but you have a better odds of winning if you plan your strategy well. Below you will find some simple rules that can increase your odds of winning Spider Solitaire. Build sequences of cards by following suit. Whenever you have a choice to make, prefer building in suit (“natural builds”). Natural build may be moved as a unit to be built elsewhere. This allows you to expose a hidden face down card, which you may now turn over, or expose an empty tableau pile. Try to expose face-down cards as quickly as possible. Uncovering face-down cards leads to a new set of possible moves. Besides, it is a way to make an empty tableau pile. Try to make empty tableau piles as early as possible. Move cards from tableaus that have fewer cards. Use empty tableau piles as temporary storage when rearranging card sequences into “in-suit” builds as far as possible. Move cards to empty tableau piles to turn over more cards. Build on higher-ranked cards first. Among the “out-of-suit” builds, start with those of highest rank. The reason for this is apparent. You can not move “out-of-suit” build as a unit to another tableau pile. So this build is of no use except as a temporary storage space for cards from other tableau piles. If we start with low card, the build will be ended with an Ace very quickly and then it will be useless. Starting from higher cards allows us to get maximum advantage from it. Get as many cards exposed and arranged in suit order as possible before dealing the next 10 cards from the stock. Otherwise your odds of winning are significantly reduced. As soon as you remove a suit, rearrange the remaining cards into “natural builds”. Use empty tableau piles as temporary storage space when rearranging cards. 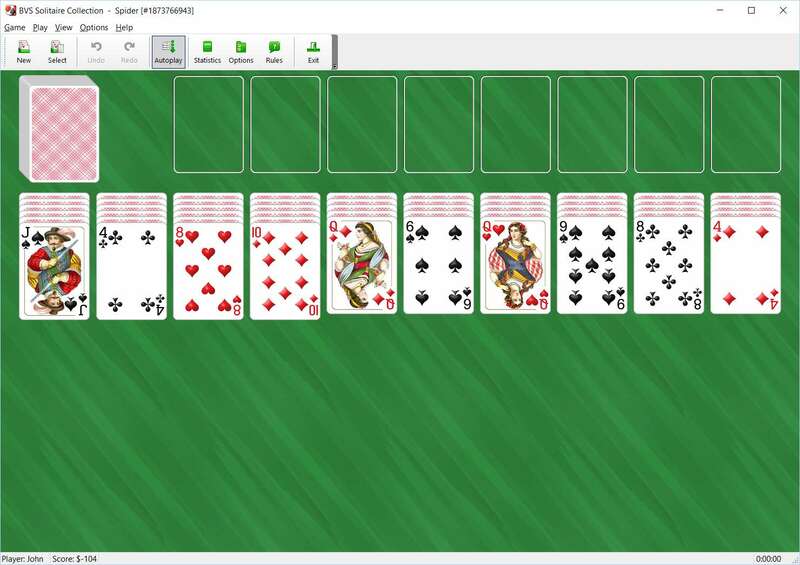 Spend some time practicing this strategy and soon you will find yourself winning Spider Solitaire faster and more often.